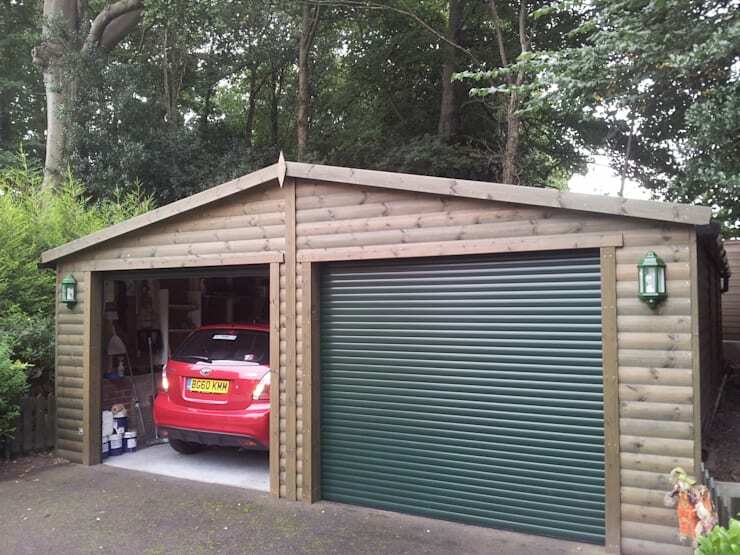 The garage is used as storage for all your vehicle related items and objects, possibly even your gardening tools and the family bicycles. 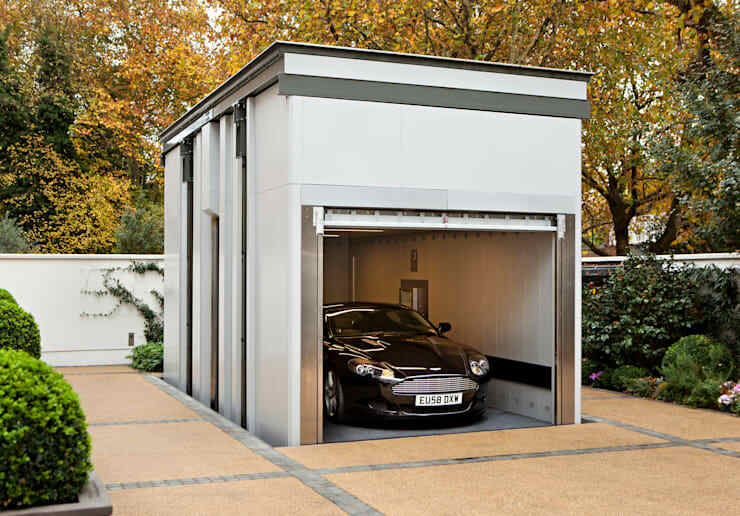 The 13 garages we visit in this homify tour today are sure to keep your belongings safe and secure, while being neat and tidy too. 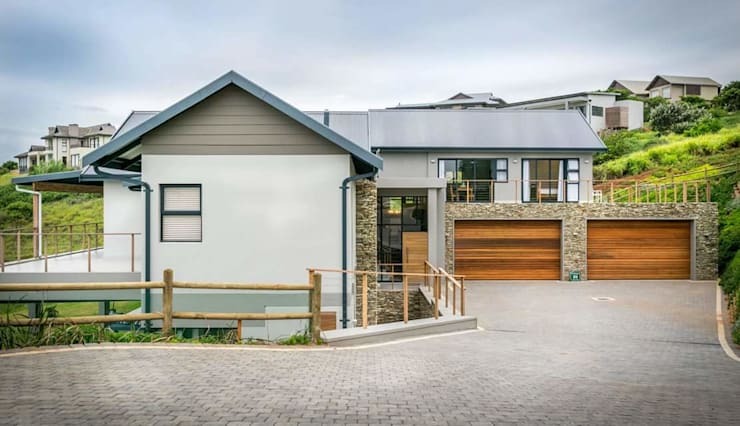 Let's take a look at this article for more tips and tricks to suit your house and its architecture. It's important that your garage is built on ground level for stability and style, even if your home is situated in a hillside. Ensure that there is more than enough illumination to keep your guests safe as they enter your home. These downlights are a brilliant choice. A garage option like this allows you to see if anyone is outside as you enter or leave your home. 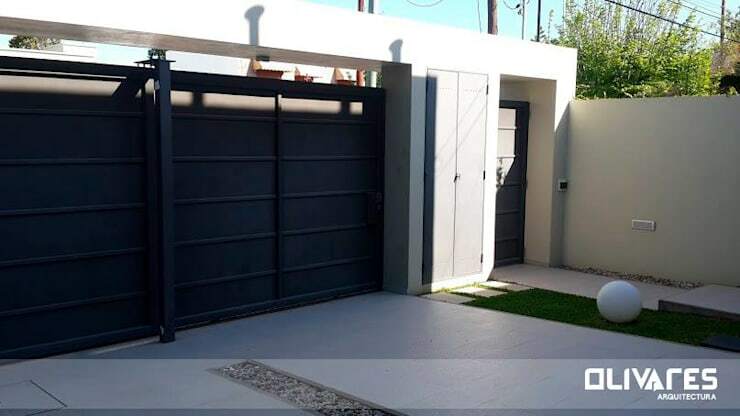 You don't need to go for a full garage door, secure gates at the end of your driveway is another great option. 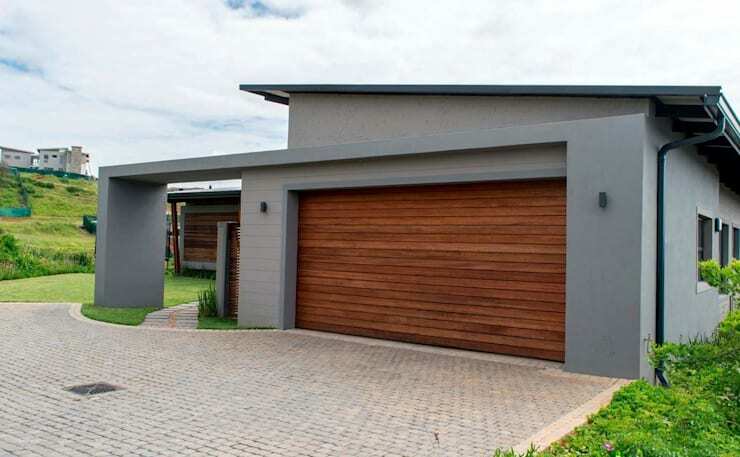 However, if you prefer the durable garage door, you cannot go wrong with this iron design. 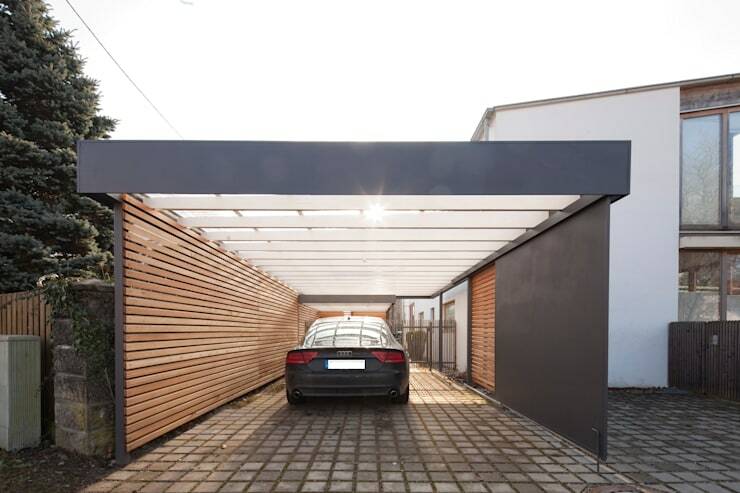 A pergola to decorate your entire driveway is also another way to keep your vehicle safe. 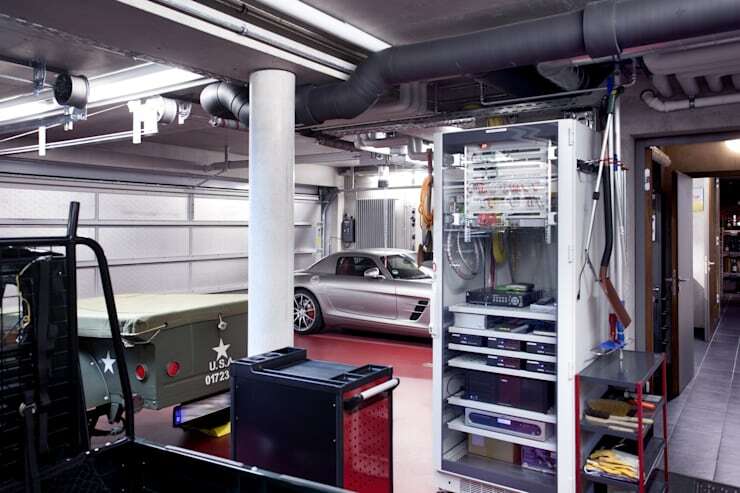 It's important to keep your garage organised to avoid clutter. 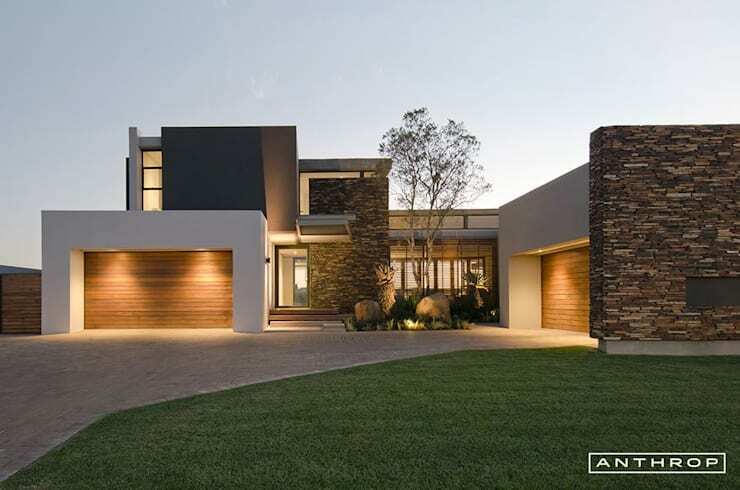 A large house needs more than one garage and these garages are perched perfectly at the end of the driveway. 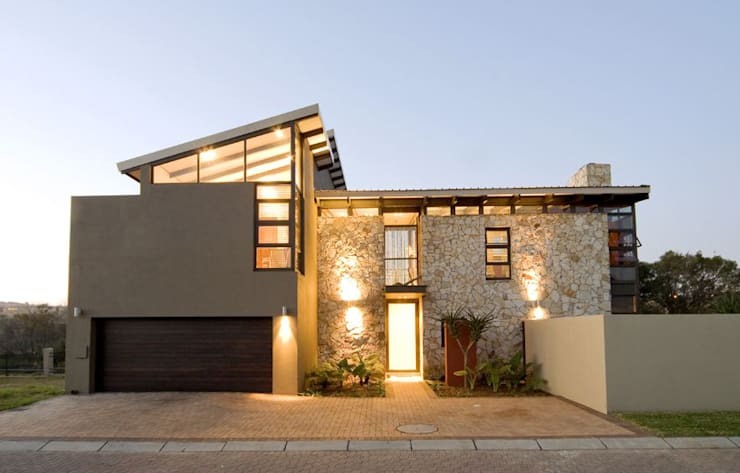 Decorate the exterior of your home with stone features and add a rustic effect to a modern home. 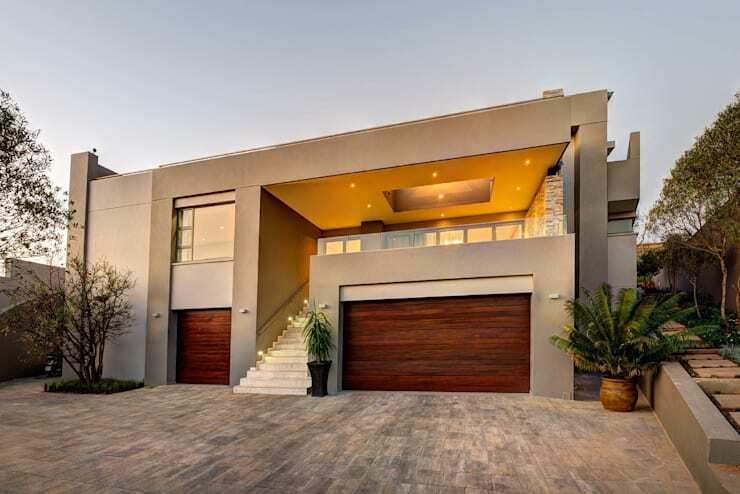 It's vital to have synergy between your decor, here we can see the garage door with a matching front door. The garage on a large property can be located away from the house, and this one has a shed-like structure. This is another example of a separate garage. 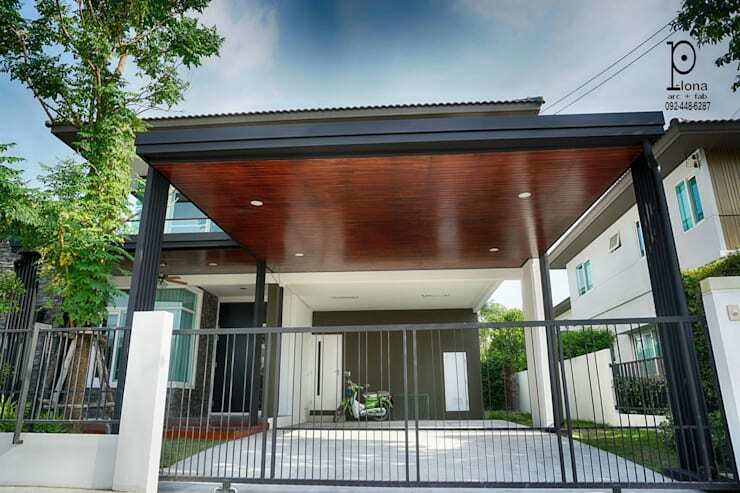 Our final garage forms part of a one storey home that is simple and elegant in all corners. 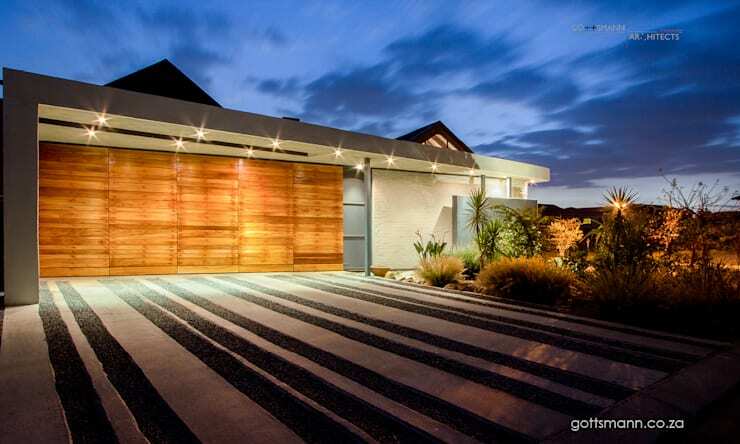 How about these 6 Extraordinary Garage Ideas? 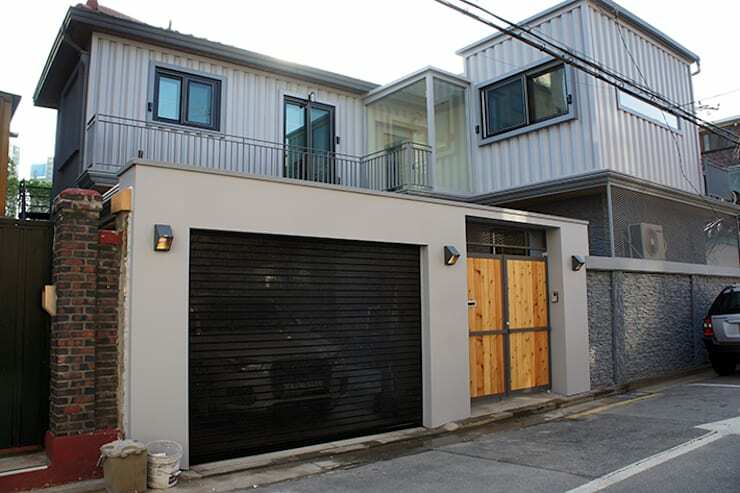 Which garage idea do you like most?